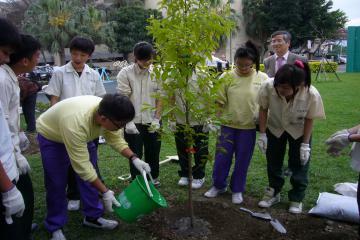 OISCA-Taiwan Chapter spearheaded by President Chen, Chiung Sung launched the fist Children Forest Program (CFP) school in Fuan Junior High School in Taipei on the 23rd of March. A commemorative tree planting activity was held and graced by Mr. Toshihiro Nakano, Executive Vice-President of OISCA International and Mr. Funihiro Okada, Counselor of OISCA Japan. The launching ceremony was witnessed and participated by 200 participants including the students, teachers and management staff of Fuan Junior High School and members of the OISCA-Taiwan Chapter. 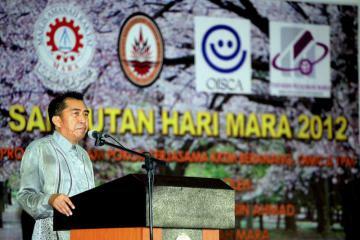 The Honorable Datuk Ibrahim Ahmad, Vice-President of OISCA International Malaysian Chapter and Director-General of Majilis Amanah Rakyat (MARA) spearheaded the launching of Children Forest Program (CFP) to all the MARA Educational Institutions on its 46th Anniversary on the 15th of March. MARA is an agency of the Ministry of Rural Development of Malaysia established on March 1, 1966. OISCA Philippines initiated the signing of the five-year Memorandum of Agreement (MoA) among the Secretaries and Executive Director of the Philippine National Departments and Agency for the further promotion of Children Forest Program (CFP) on the 1st of March, 2012 in Manila. The Memorandum of Understanding (MoU) between OISCA-Cambodia and Buddhism for Social Development Action (BSDA) was signed early this year between Mr. Charles Cheo, OISCA-Cambodia President and Venerable Thorn Vandong, Executive Director of BSDA. 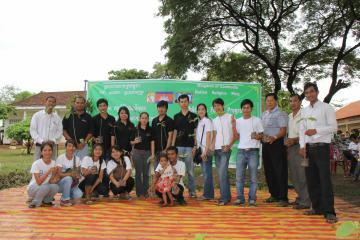 BSDA is a local NGO based in Kampong Cham where OISCA Children Forest Program is based and currently being implemented.